On Saturday, Celebrate National Trails Day! - GetGoing NC! On Saturday, Celebrate National Trails Day! This Saturday, our GetHiking! 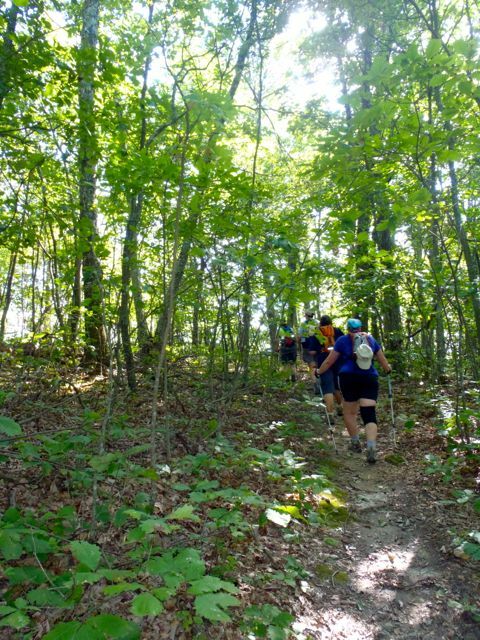 hike will also be a National Trails Day hike. 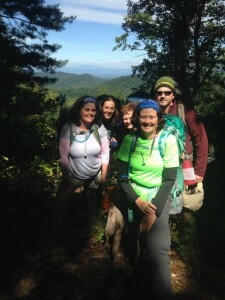 For the past 25 years, the first Saturday of June has been—by decree of the American Hiking Society—National Trails Day, a day dedicated to celebrating our nation’s thousands of miles of hiking and biking trails. Sometimes, that celebration takes the form of a hike, sometimes a bike ride. Often, it’s a trail workday, reminding us that the vast majority of our natural surface trails would not be possible without volunteers. A professional land manager may oversee the blazing and design of the trails, but when it comes to the work of actually clearing the paths— and maintaining them—that’s largely the work of volunteers. GetHiking! celebrates National Trails Day with a 6-mile hike on the MST through the Triangle. This particular stretch follows edge forest, passes old farm ponds, crosses meadows, explores Piedmont history dating back a half century and more. Along the line of the big Trails Day in Damascus, Va., Troutville, also located on the AT, has it’s own AT celebration, with guided hikes, live music and a range of vendors. 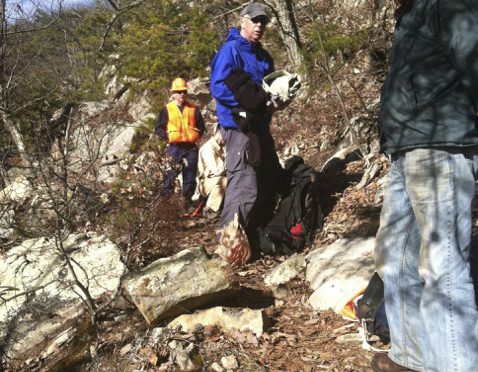 For anyone who’s ever driven Skyline Drive and wondered what those trail signs were about, Shenandoah National Park and the Potomac Appalachian Trail Club’s Trail Patrol aim to show you with guided hikes. Mariners’ Museum hosts a trail extravaganza, with hikes, food and lots of stuff for kids to do. A clean-up followed by a Past Plantation Tour, hike of the Osprey Trail, and kids fishing tournament. Get hands-on experience maintaining a trail. Rakes, pitchforks and wheelbarrows provided; you bring a water bottle, sturdy boots and clothes you don’t mind getting dirty. 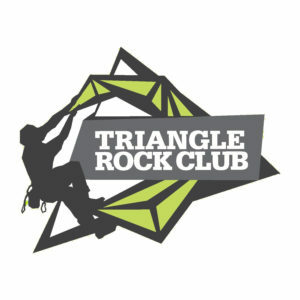 Some day, the Carolina Thread Trail hopes to link 15 counties in the Charlotte area with trails; this hike is on one of segment of that emerging chain — the 0.7-mile Goat Island Greenway and South Fork River Blueway (a paddle trail running 8.4 miles downstream; it is not part of the day’s adventure). 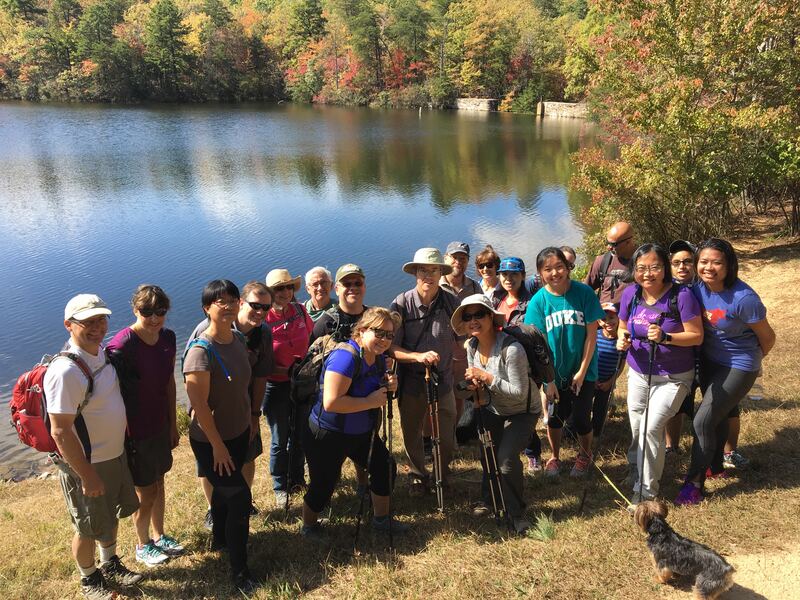 For more events in North Carolina, Virginia and elsewhere, visit the American Hiking Society’s National Trails Day page here.